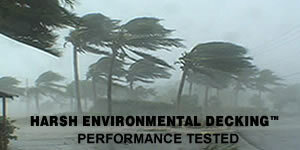 Harsh Environmental Deckingâ„¢ (HED) is specifically designed to be installed by the handyman or contractor. 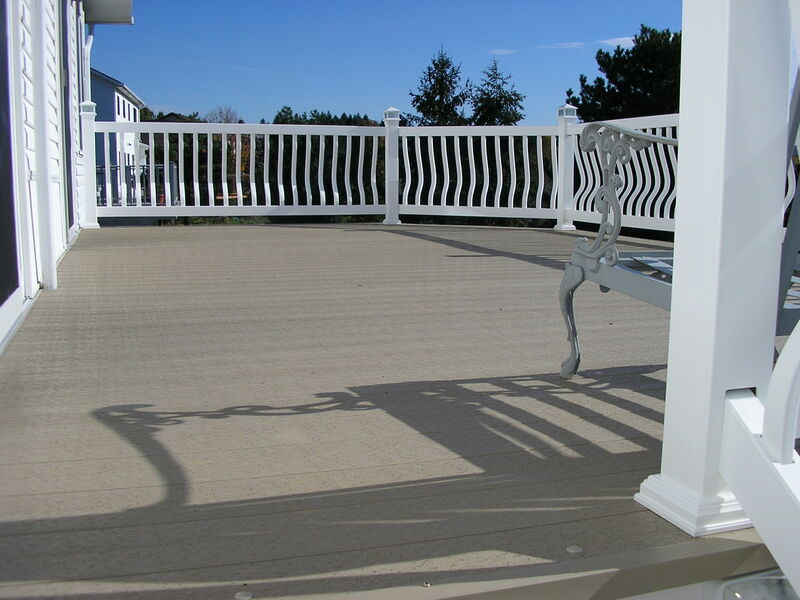 HED is an extremely tough weather resistant polyvinyl-alloy formulation.The interlocking modular deck planks are fastened to the deck's structural framework using stainless steel screws with rubber-washer (ie. same type screw normally used with corrugated paneling). Slots in the fastening flange accomodate for linear material expansion. 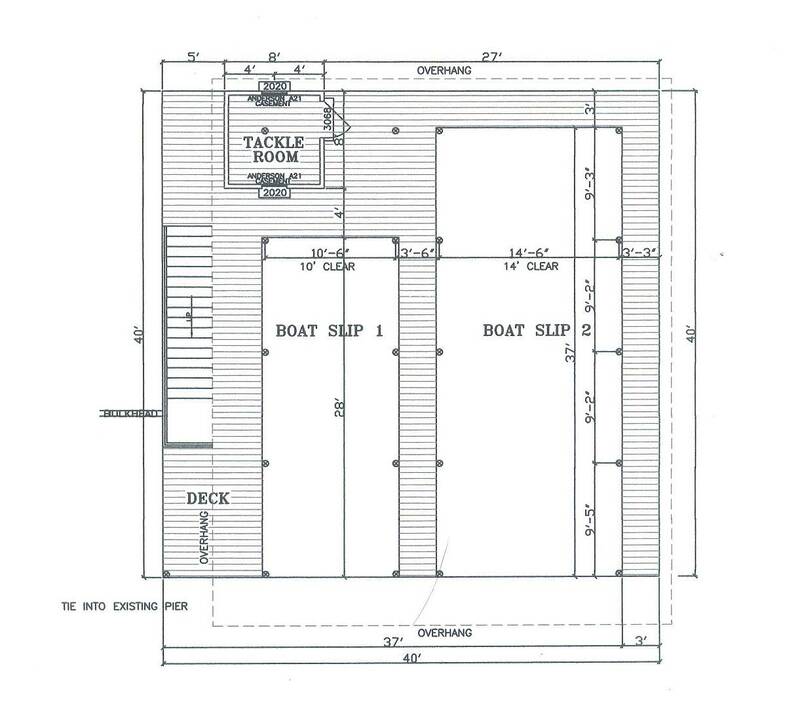 Decking planks butted end to end must retain a spacing gap of 1/16" per every 12' to compensate for material expansion is hot climates. 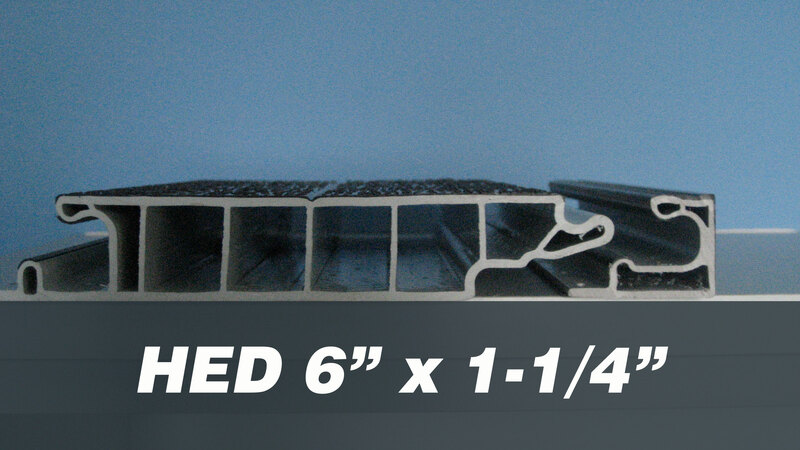 Deck framwork supporting joists should not exceed 16" o/c. Plank installation begins by snapping a chaulk-line across the top of the deck joists which provides a good straight starting line to align and fasten down HED Starter Rail. Apply the 1" screws at every joist. Continue installing HED Decking Planks using chop saw to cut parts. As in any decking procedure, it is important to always keep the board planks straight. It is a good practice to keep monitoring the straightness by using a string usually every 5 rows. The final decking plank width may be ripped using skill saw. When notching a plank to fit around a deck post member, use a 1/4" drill in the corners prior to sawing out the notch. All inside corners should maintain a soft radius to eliminate all stress points. 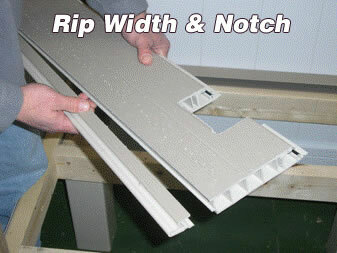 Upon completion of decking assembly, snap a stringline to set-up for any required edge trimming. After straightening up the sides of the deck, snap another stringline1 1/2" inboard to create an alignment line for the Edge Cap part to be pushed up to. You want the perimeter deck Edge Caps to look very straight. Edge Caps are applied to the perimeter using an elastomeric urethane or butyl adhesive. Apply the adhesive liberally to the inside top and bottom surfaces of the Edge Cap using caulking gun and roughly smooth out the adhesive with finger. Slide part on decking and align to chaulklne. Use tape to secure part position during the adhesive cure time.